Round 5 of the Manor Farm Individual winter league today. I struggled the first 3 rounds only beating a few on the lake so not really in contention for the league.. unless a miracle happens. 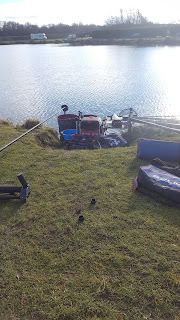 Last round I was lucky enough to draw on some fish and win the lake/match with 90-0-0. Onto today I thought there would be some real tough draws. Peg 8 on Boundary pool stuck to my hand, this pegs had a bit of form lately so thought it could be ok.
Set up 2 pole lines. Where id fish maggots and groundbait on one and pellets on the other. Started on bread didnt even have a liner which was worrying. I had a look on my pellet line but that didn't produce any bites either after giving it a good 20 minutes. To catch something I had a look on my groundbait line and caught some stamp roach on this for the next half an hour. Looking round the lake the odd F1 and carp was being caught so I thought catching silvers was pointless. After not getting anymore signs on the pole on my pellet line I felt my time was best spent on the bomb. I had to be really patient waiting for bites. A little boilie was best, my longest cast was 45 minutes and reeling it in after that time is hard! 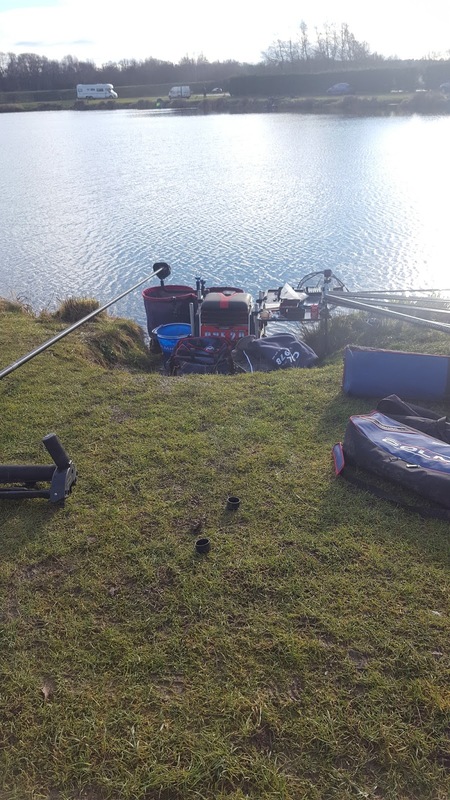 I ended up with 4 carp and 2 F1s which went 40lb plus my 5lb of silvers left me on 45-0-0. This was only enough for second on the lake and 3rd overall in the match. Those silvers are really worth catching, I think if I went properly for them, on a hard day there well worth catching.